Cheryl Knowlton is a 19-year veteran of the real estate mortgage industry. She is currently Director of Education for ERA Brokers Consolidated, a multi-state ERA Hall of Fame organization. 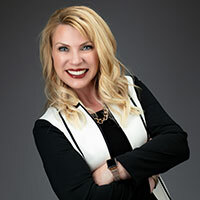 Her mission is to enthusiastically empower Real Estate Excellence through engaging professionals to expand their minds and wallets with interactive courses designed to keep agents out of trouble, engage them in having fun while learning and help them gain the skills they need to raise the bar of professionalism in real estate.